How to make a professional Project Management Status Report? 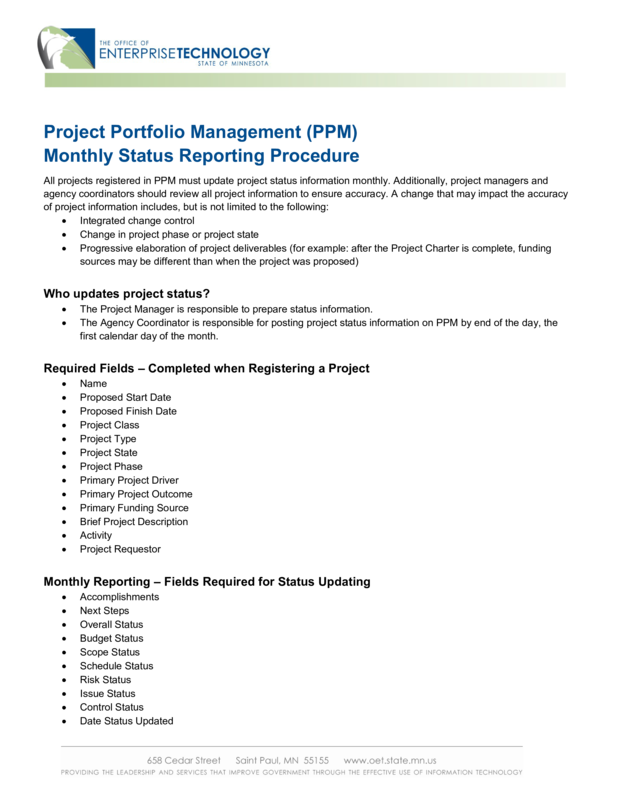 Download this Project Management Status Report template now! Adequate communication is essential in order to finish projects successfully. In order to gain truthful and accurate information, you need to make sure that program- or project managers are able to make rational and correct decisions. For those who have, what we call, a "high-performance mindset”, we know they prefer to work with the latest update of professional project management templates, in order to achieve their goals faster. We are certain this Project Management Status Report will be of value. Feel free to download this Project Management Status Report, or simply browse through our other basic or advanced template designs. They are intuitive and in several kinds of formats, such as PDF, WORD, XLS (EXCEL including formulas and can calculate sums automatically), etc. Completing your Project Management Status Report was never simpler! Download this project management template now! Required Fields – Completed when Registering a Project Name Proposed Start Date Proposed Finish Date Project Class Project Type Project State Project Phase Primary Project Driver Primary Project Outcome Primary Funding Source Brief Project Description Activity Project Requestor Monthly Reporting – Fields Required for Status Updating Accomplishments Next Steps Overall Status Budget Status Scope Status Schedule Status Risk Status Issue Status Control Status Date Status Updated Accomplishments 1.. Delete all other time periods Project Health Scale The following recorded fields require a color scale: Overall Status Budget Status Schedule Status Scope Status Risk Status Issue Status Control Status Mark each field with the appropriate color that reflects the project status below: Green - Project and tasks are on track per plan..